There are few machines in your home as large and as powerful as your garage door. Each part of the system needs to work perfectly in tandem with dozens of other components – over time, this complexity makes it more likely that problems will develop. Such malfunctions can range from worn rollers to worn-out springs – but don't worry, there's no part of your that we can't repair. The heavy-duty springs that carry your door’s weight have a limited lifespan. A high-quality set that’s regularly maintained is unlikely to last more than 10 years, while cheaper springs can wear out in as little as 3. Because these components are so crucial, we strongly recommend getting in touch with us as soon as they start to wear out. It’s dangerous to let them deteriorate to the point of breaking, so if your door is wobbly or shaking, don’t hesitate to get in touch. Most of the components in your door system are simple mechanical parts, but the opener is a highly complex unit. There are plenty of things that can go wrong - drive gears can wear out, for example, which will require a replacement part. We work with all the major manufacturers, and can supply and fit components from Linear, LiftMaster and Genie among others. It’s easier than you might think to put a dent in a steel door panel. Over the years, it’s inevitable that your door will stop looking as clean and new as it once did. Our team can remove dents and dings from your metal door, restoring that brand-new curb appeal. For larger dents and more severe damage, it may be necessary to replace a panel altogether. This isn’t a problem, though – we're confident we'll be able to source a matching panel from a trusted supplier. If your door is slow, noisy, or unreliable, we’re the team to help. 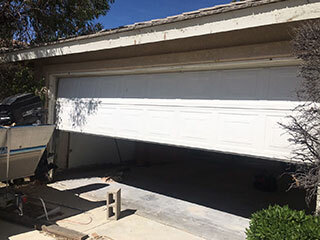 Contact Garage Door Repair Irving today for emergency repairs or to schedule an appointment for a time that suits you.